If you can send me your address Heide I will send you something from my recent trip to the Lili of the Valley shop soon. Bling - local craft shop - just realised I need to put some bling in the middle of the flower on the image oops! Can't believe we are only a month away from Christmas, I wish I was as ahead with the gifts as I am with the cards. Oh Anne your card is so pretty, love this image and your wonderful colours and design papers. Great flower embellishments as well. 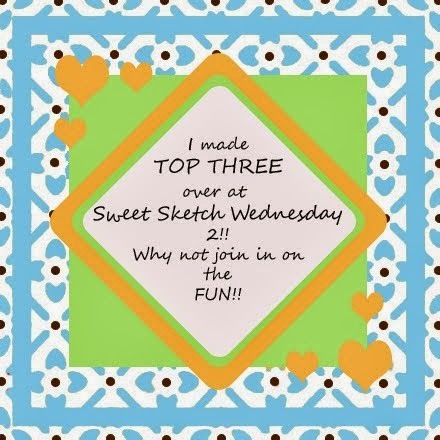 Great card and thanks so much for sharing your talent with us over at Sweet Sketch Wednesday 2 and good luck. P.S I'm so jealous being able to go to a LOTV store. 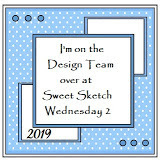 I don't believe we're able to buy any of their stamps in New Zealand in crafting shops but I'm able to buy their stamps online. Oh Anne, Another great looking card! I love this image and think I am going to have go get it. I also think I am the winner! Woot-Woot! LOTV images are so cute! Here is my contact info. Great card Anne and a fab image, and great colouring.